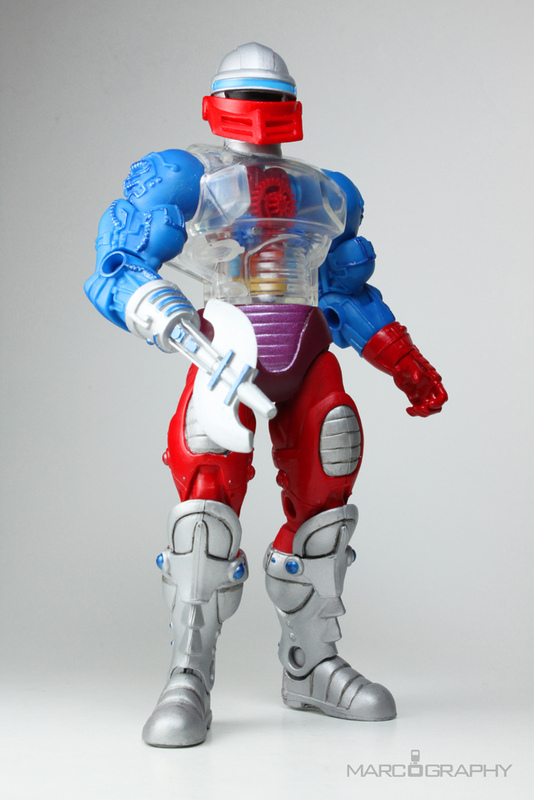 Originally built by Man-At-Arms as a chess opponent for Man-E-Faces, the robot companion was nicknamed Roboto and later given a heart-shaped emotion chip which altered his speech patterns. 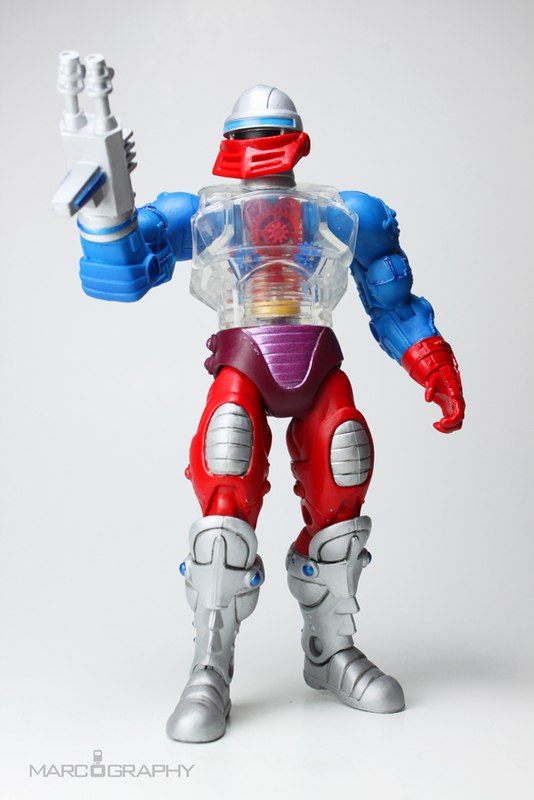 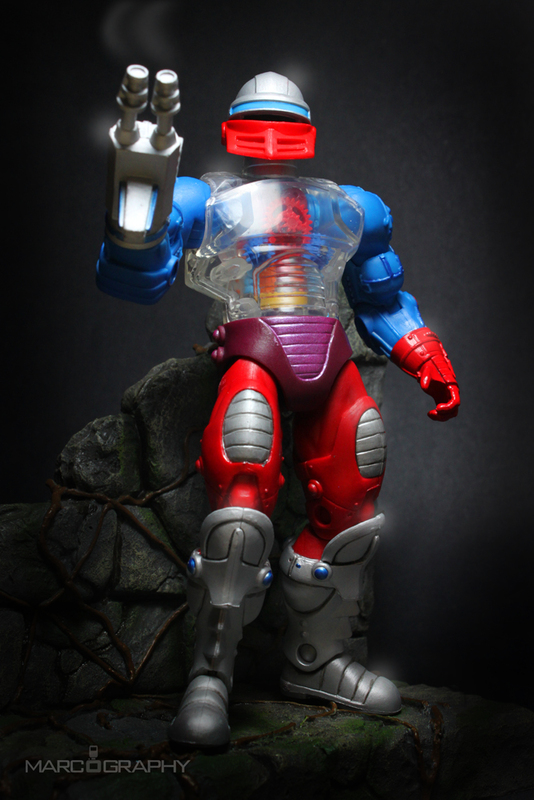 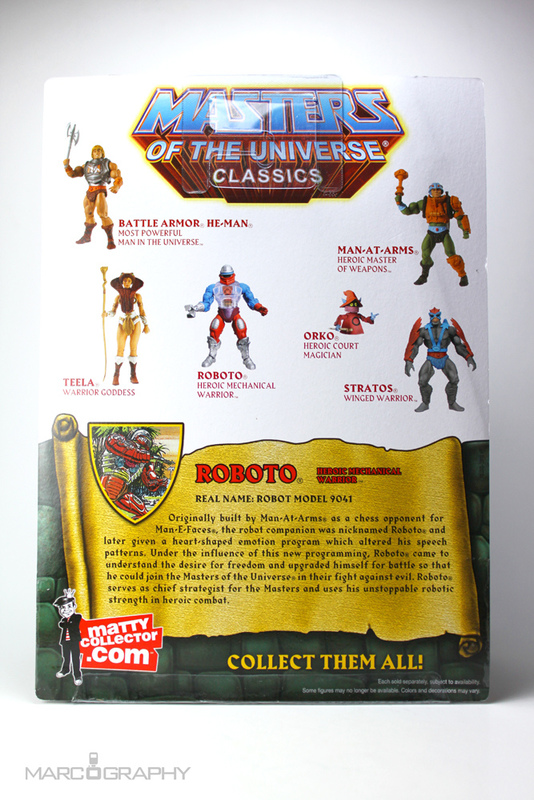 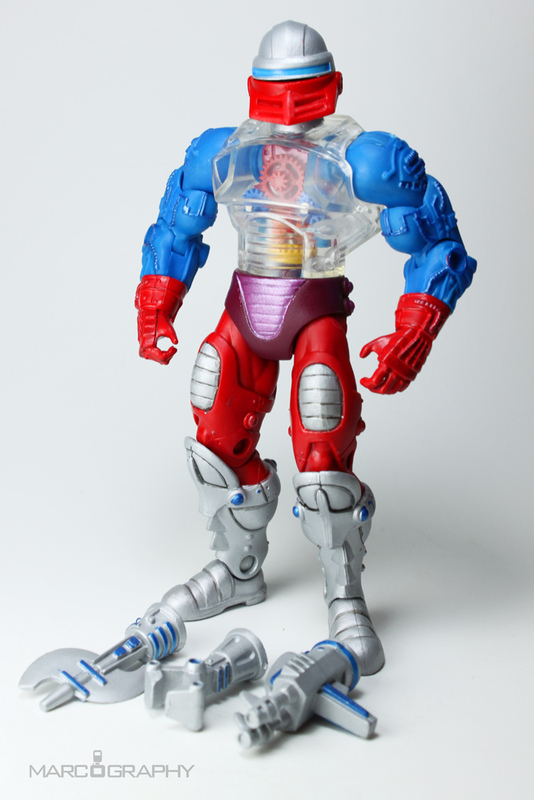 Under the influence of his new programming, Roboto came to understand the desire for freedom and upgraded himself for battle so that he could join the Masters of the Universe in their fight against evil. 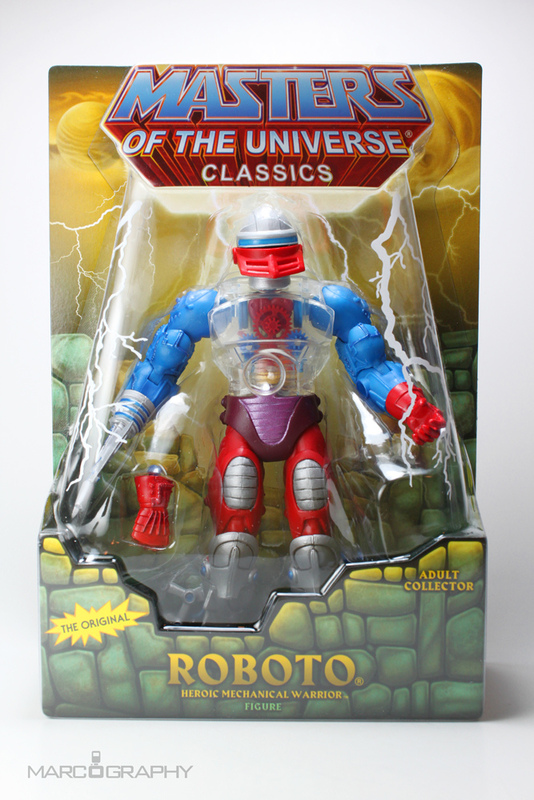 Roboto serves as chief strategist for the Masters and uses his unstoppable robotic strength in heroic combat.